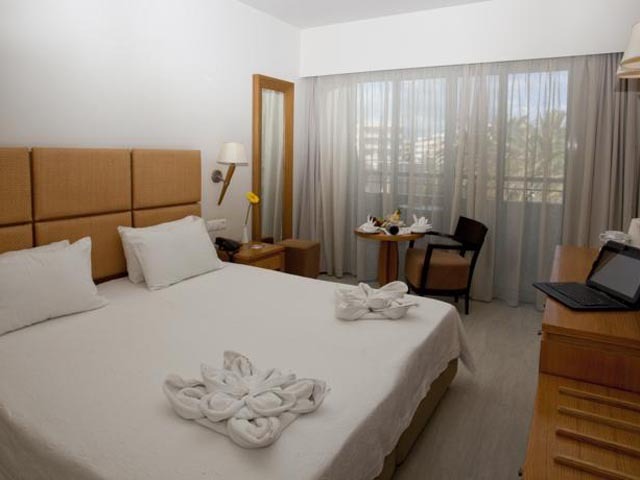 The friendly and professional staff reflecting the traditional Cretan hospitality will make you want to return. 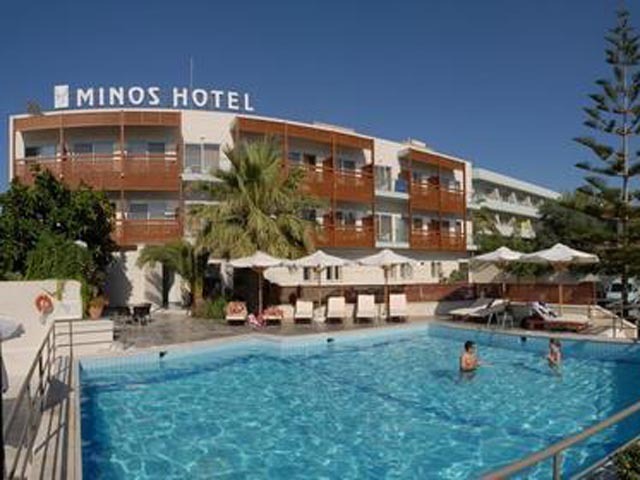 During the 35 years of its operation, Minos Hotel has succeeded in gaining the guests trust and a good reputation in the European market. 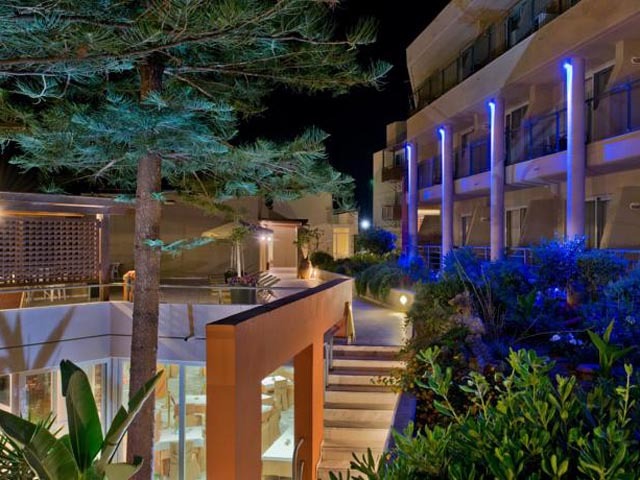 The great number of repeaters guests shows the high standard service and the warm, friendly and family atmosphere the hotel has.Rooms and Suites overlooking the Cretan sea, swimming pools surrounded by evergreen trees and flowers of every colour will make you relax in a warm and vibrant atmosphere. Suburb facilities and evening events create a memorable feeling. Authentic Mediterranean and Cretan cuisine based on virgin olive oil for those seeking to explore new senses. 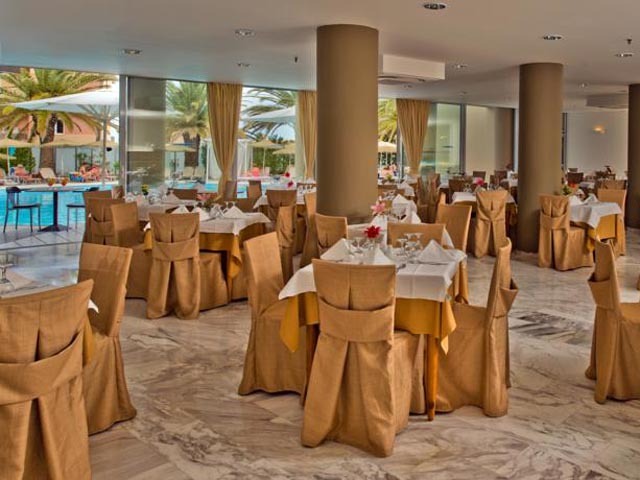 Bearing in mind our guests' best nutrition, we offer you the chance of visiting our main restaurant Ambrosia and choose among several exquisite dishes and drinks. 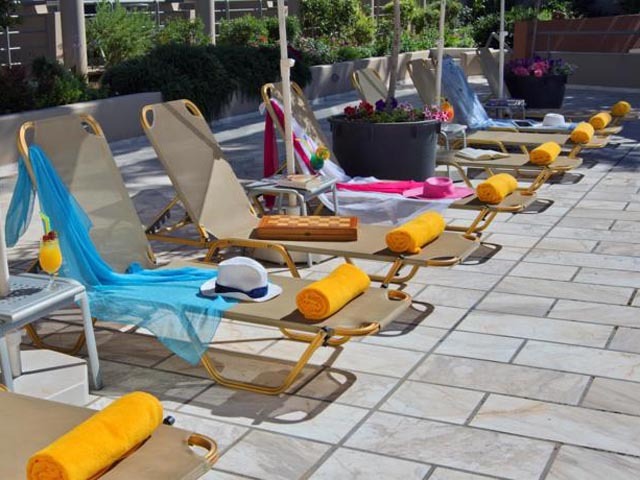 With view to the central pool open's early in the morning for an American buffet breakfast and in the evening for dinner with international and Greek specialties. Carefully selected ingredients of the local land and our chef's creativity, present you our hot point, the famous Cretan cuisine. Unique creations with exclusive use of our home produced virgin olive oil. The perfect combination of healthy food and gastronomic pleasure, always accompanied by the most famous Cretan wines. Especially for our Bed & Breakfast guests we offer the option for a daily dinning in a very privileged price. Our guests are kindly asked to follow a smart casual dress code. Gentlemen are requested to wear long trousers during diner. Enjoy our open air restaurant Dionysus and take the chance to combine the pleasure of our exquisite dishes, prepared with much love and skill by our executive chef. 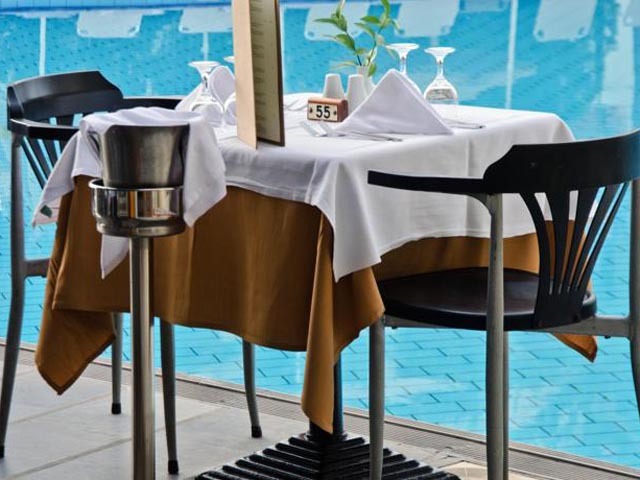 Fresh pasta, salads, grilled meat and creative sandwiches that we offer you, next to the pool. Surrounded by flowers of every colour, discover our cuisine of a light Mediterranean style in a bright ambience and enjoy a relaxed lunch. During the evening visit our lobby bar Bacchus either before your dinner for an appetizer or after your dinner, to continue having your best time in our hotel. Ask the bar tender for the days' cocktail or alternatively guide him to mix yours drink while you are enjoying our executive evening entertainment. 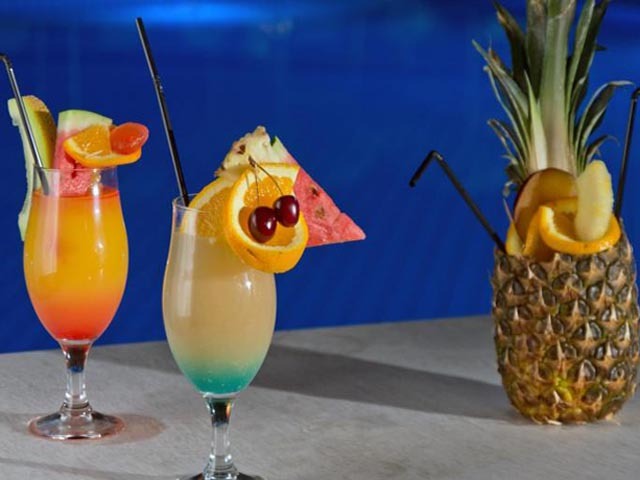 A stylish cocktail lounge bar ideal for a relaxing drink, afternoon tea, or a traditional raki..
Next to the central swimming pool, in a casual atmosphere guests can enjoy refreshing drinks, smoothies, fresh juices and their favourite cocktails or taste our variety of snacks and ice-creams. Relaxing to the strains of soft music or becoming part of our animation programme. Our guests can alternatively enjoy the coolness of the shady cafeteria under the pergolas. Overlooking the pool or the garden, this tastefully decorated room has a fridge, a TV and a private bathroom with hairdryer. The maximum occupancy for this room is 2 adults. Please note that this room type cannot accommodate an extra bed. This room has a maximum occupancy of 2 adults and 1 child (for extra charges please check child & extra bed policy of the hotel). 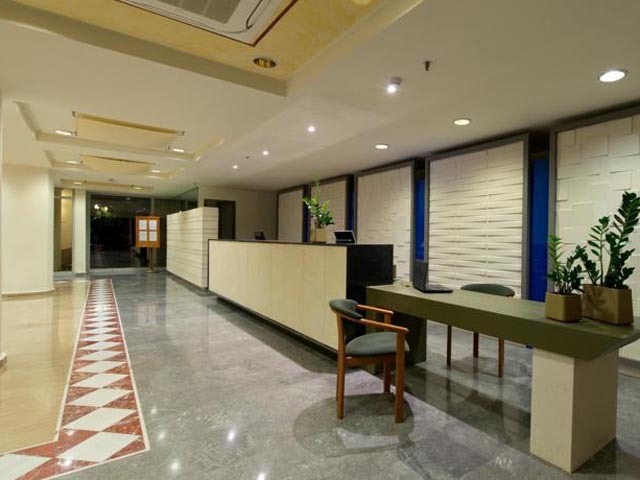 A complimentary bottle of wine, a bottle of water and fruits are provided upon arrival. 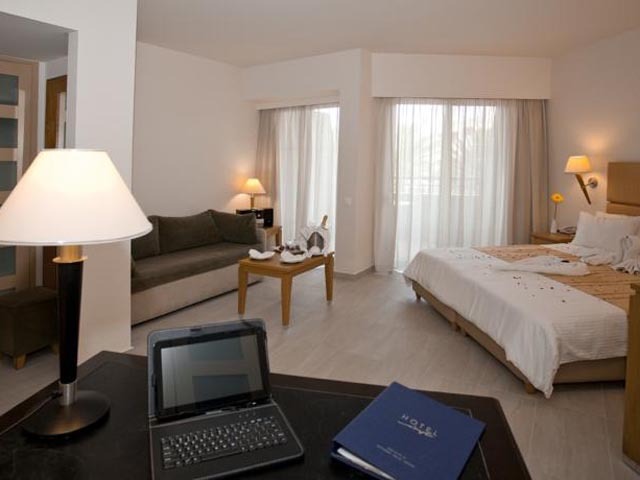 Featuring a balcony, this spacious room offers a plasma satellite TV and electric kettle. This room has a maximum capacity of 3 adults or 2 adults and 1 child. 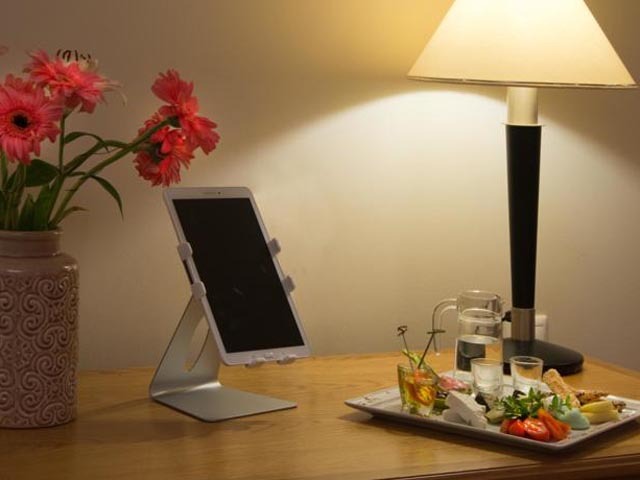 For extra charges please check the extra bed policy of the hotel.A complimentary bottle of wine, a bottle of water and fruits are provided upon arrival. This suite features a seating area, bathrobe and CD player. 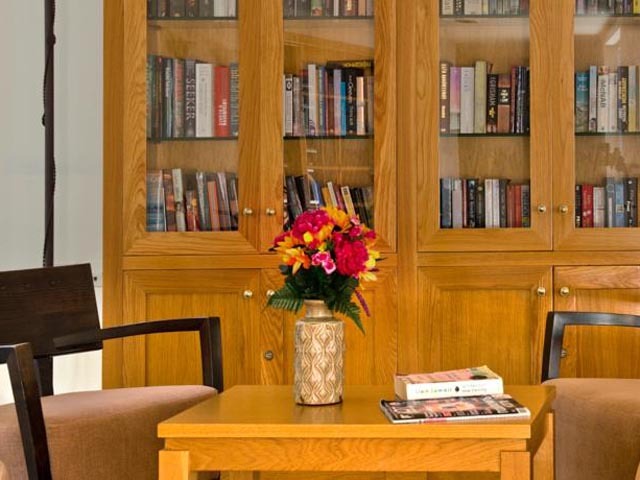 This room has a maximum capacity of 3 adults or 2 adults and 1 child. 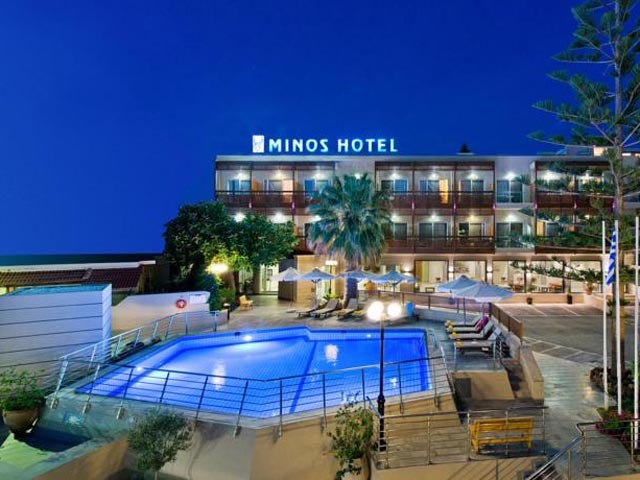 Minos Hotel is a 4 star luxurious complex superbly located, 2 minutes away from the beautiful awarded with blue flag sandy beach of Rethymnon and a short walk from the attractions and the historic centre. Special Offer 7=6 Free Night !! 15.04.19 - 15.05.19 !!! 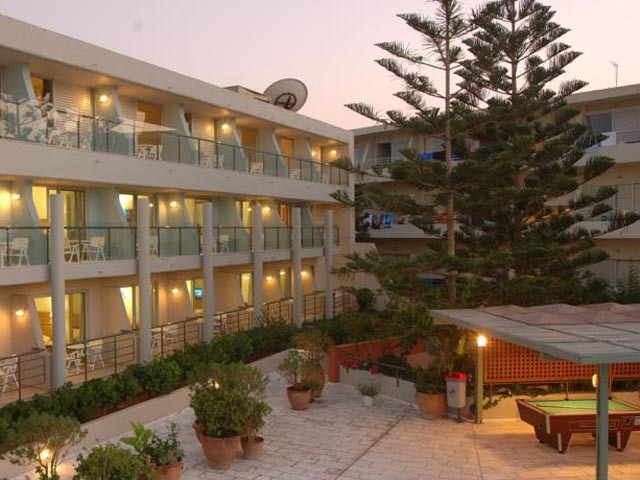 Stay 7, Pay 6 nights !! = 1 Night FREE !! Valid for the stay : 15.04.19 - 15.05.19 !! 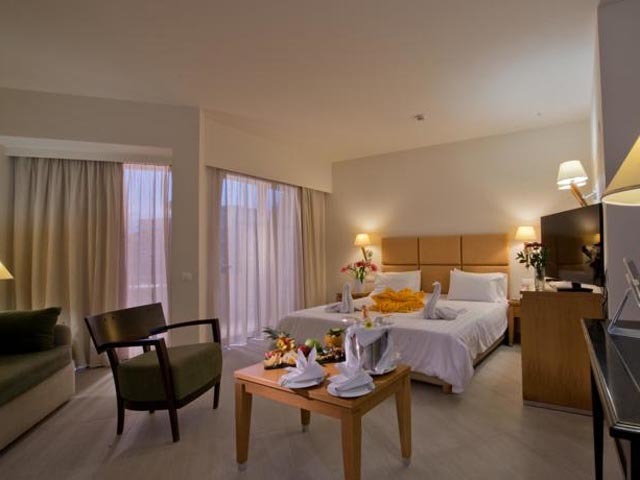 Open:April to October... Minos Hotel is a 4 star luxurious complex superbly located, 2 minutes away from the beautiful awarded with blue flag sandy beach of Rethymnon and a short walk from the attractions and the historic centre.